Nothing says “home” and gives us “warm & fuzzy’s” more than a photo display of loved ones, happy memories, and cherished art collections. What’s better than displaying one family photo? Showcasing many of course! 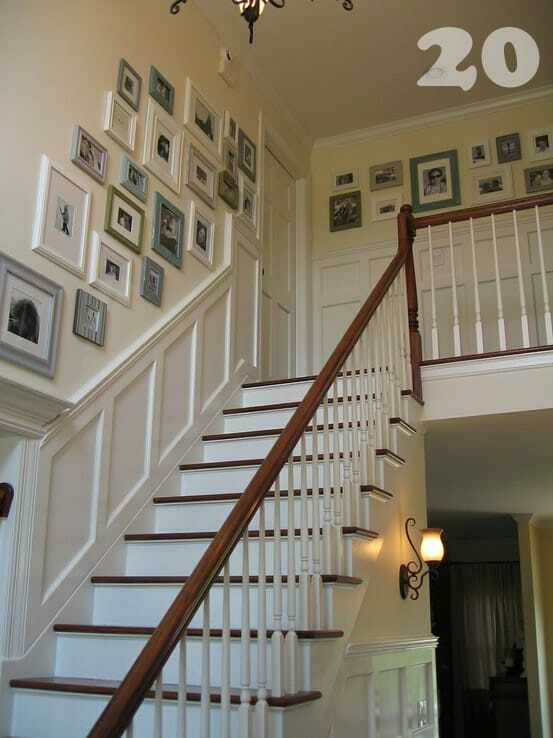 Home art and photo walls make an incredible visual impact and enhance your home’s character & personal flair. 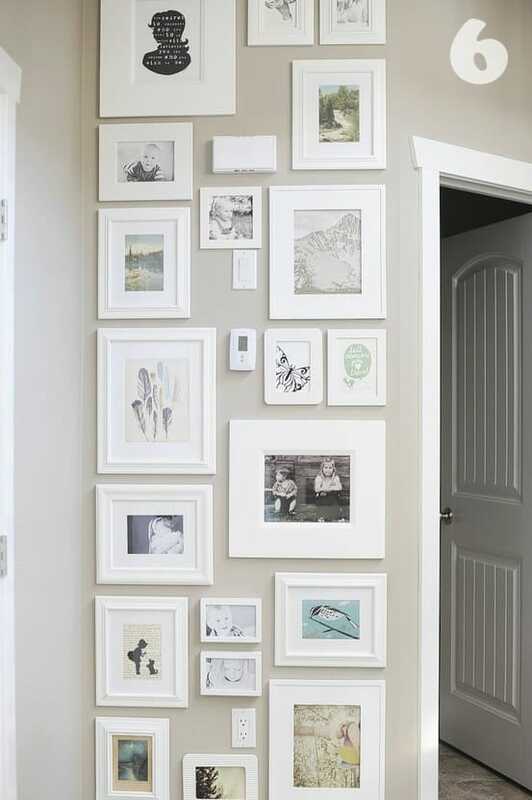 Whether you arrange just a small photo grouping, or dedicate an entire room to a favorite collection, this photo/art wall DIY will give you the tools & inspiration you need to make your vision a reality. Decide what you want to showcase and where. Photos, art, unique frames, eclectic object…or a mix? The key is focusing on a purpose, a specific “highlight” in the collage; for example, this may be one large piece, a grouping of like items, or the simple fact of pairing balanced, symmetric pieces. Select the frame types (or no frames) carefully. 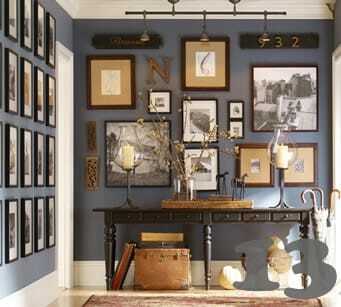 Regardless of their styles, colors or shapes, your frames should have a somewhat obvious commonality. 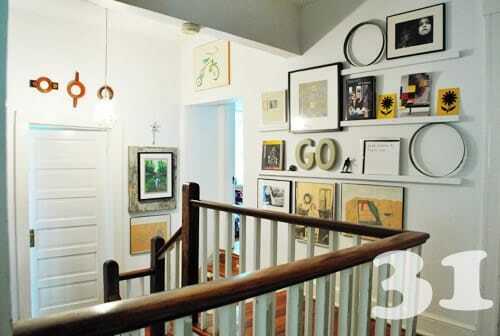 Again, the key to a successful art wall collage is pairing “like items”. The more similar the base items in your collage (ie. 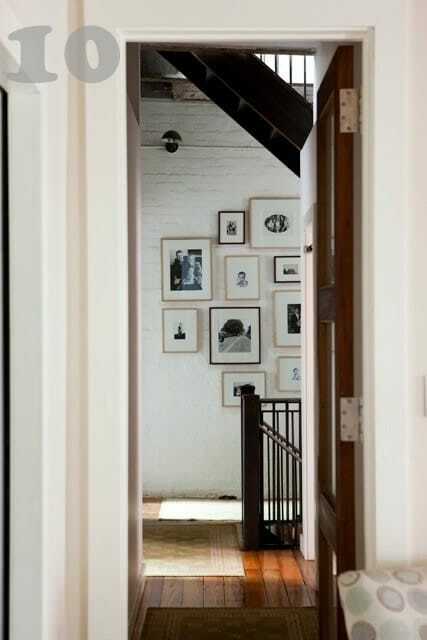 all black and white photos or all french vintage poster art), the more variation you can introduce with the frames. For example, you may decide to use a variety of brightly colored vintage frames on your black and white photos, but make sure they’re similar in detail and style. 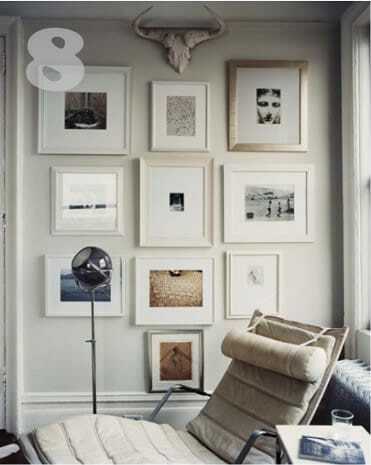 Or perhaps your not framing art, and you’re choosing to showcase simply unique frames (so chic)! 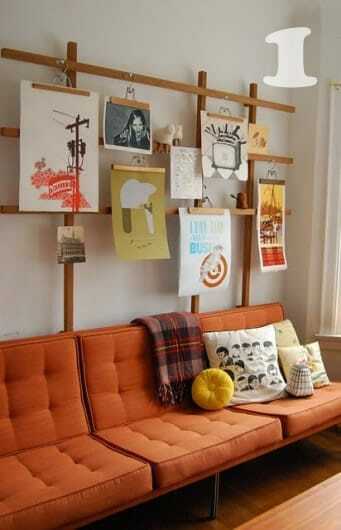 If you are grouping various types of items (ie. 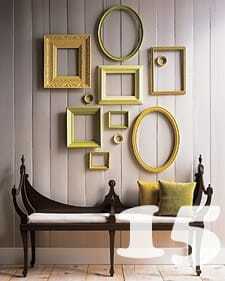 photos, mixed art and mirrors), your frames will need to be more uniform. For example, with mixed eclectic pieces, you may decide to use all black modern square frames, or white with silver accent frames. 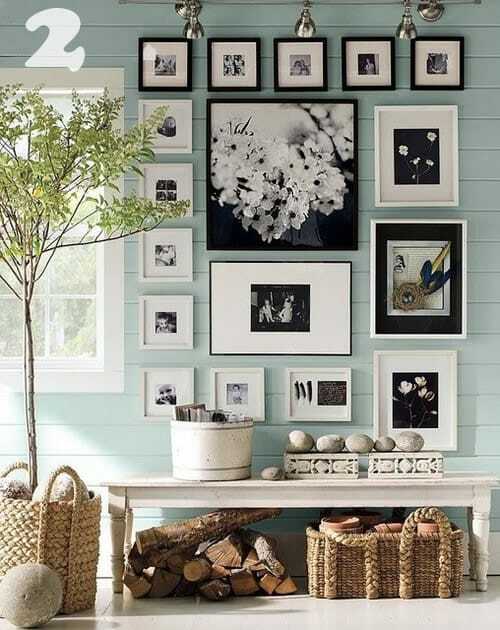 The same rules apply for matting your photos and art; for example, you might use all natural craft matting, or mostly all white mattings with a few items in black matting. Determine sizes, placements and proportions of the items in your collage. 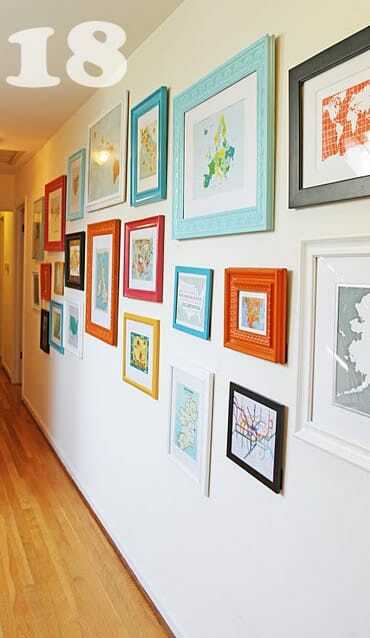 Sizes of items may vary or the purpose of your art wall may be uniform symmetry. The general rule for a blending a variety of different shaped and sized pieces is that each unique piece should have at least one proportionate match, the only exception being if there is just one piece of obvious different scale being showcased. 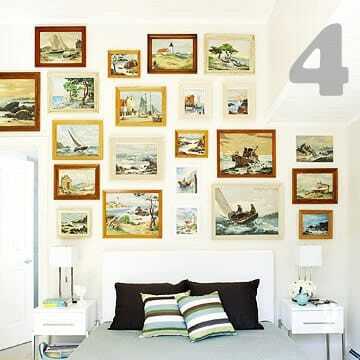 For example, if you are using a small oval frame in a collage of mixed squares and rectangles, be sure to include a second oval frame with similar proportion and characteristics. That second oval frame should be placed either directly near its match or directly opposite- the key is balance my friends! Okay, so you’ve selected your collection, the location for your art or photo collage, and it’s delivery (frame, no frame). 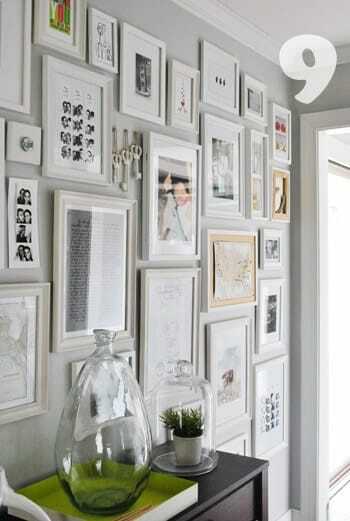 Now it’s to the drawing boards (or more appropriately…wall) Select the placement and layout of your collection. Remember symmetry, balance and the pairing of like-items. The grouping should be a harmonious blend of varying scales. Remember, items of similar scales ad proportions should always either sit beside or mirror each other. Often two small items will sit side by side to mirror the scale of a larger item directly opposite of them. As an example, two small vintage tea plates may be mounted together, opposite a large ornate platter. 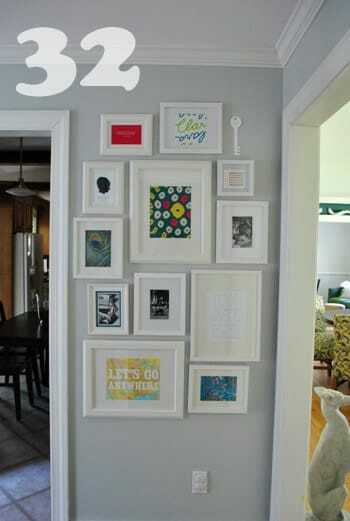 Use the quick placement guide below for some common art wall collage designs. Now, I hope you’re inspired to go & create your own fabulous wall art or photo collage, and when you do, please share your ispiration, ideas & photos with Picklee! Love this it gives me some great ideas! Thank you Jordan keep them coming! So incredible! 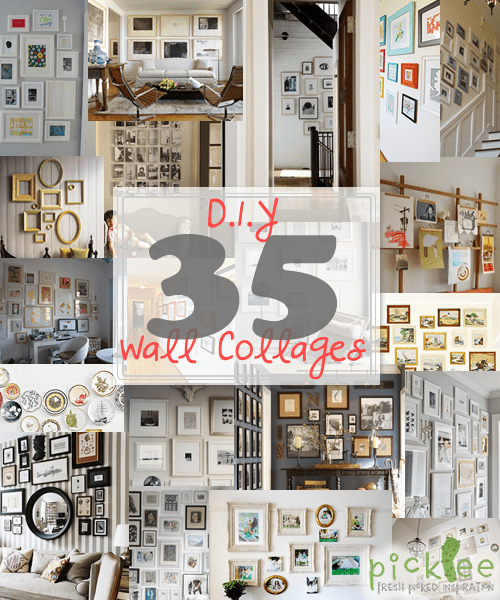 There are so many art wall collages in here that I want. Where do I begin? Your “how to make an art collage” instructions will help me greatly. I’m so exciting to make one. 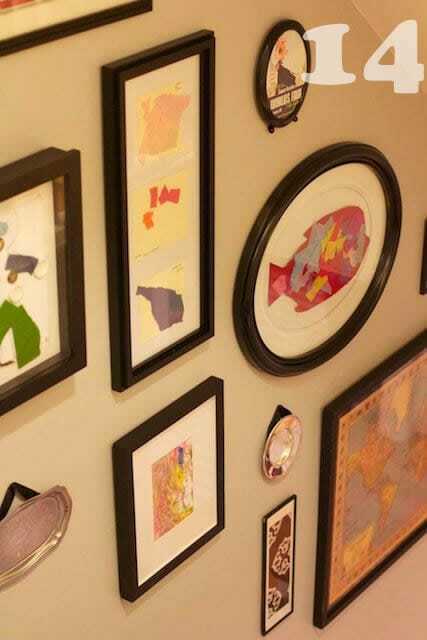 Loving the idea’s you have for an art wall using childrens art, so beautiful! 9 + 32! Young House Love! Sherry makes the best setups with frames! 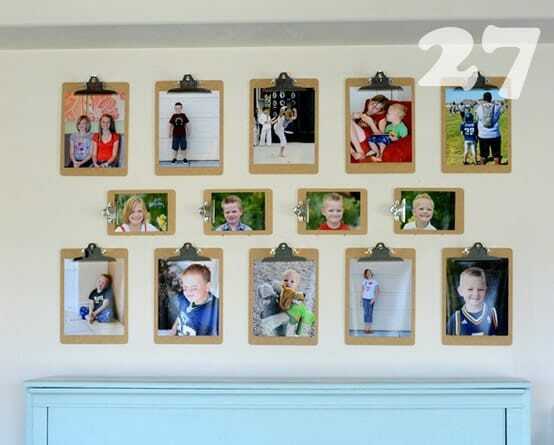 She also has some great tips and suggestions on making your own wall collages with frames and a great easy way to figure out a setup without putting any holes in the walls! this is BRILLIANT!!!! thank you! 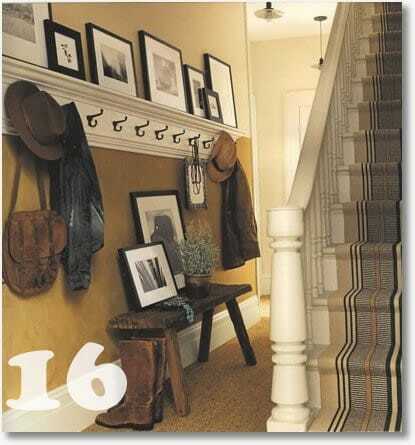 i’ve been looking for something like this for ages (even asked another design blogger to create something like this). i love collages, but never seem to be able to put them together well. aahhhh…sigh of relief! thanks again! Thanks Sarah! I hope the DIY and inspiration helps you to create your own beautiful wall collage! I loved viewing these collages sooo much that my heart was racing at the sight of each one! Have always enjoyed creating a variety of collages in every apartment I’ve lived in, but it is always exciting, and inspiring to see new ideas! Can honestly and happily say that I am collage crazy! Thanks for this post! I’m so happy that I could help inspire you! I hope you find even more inspiration on Picklee! Lindsay, I agree! I do always like to give source credit. Unfortunately, this particular post was rare in that it used many images with missing sources. What happened to number 22? Lol, I wouldn’t have noticed but my 3 yo was counting as I looked. this website was great! and helpful too! Do you know where #7 comes from? 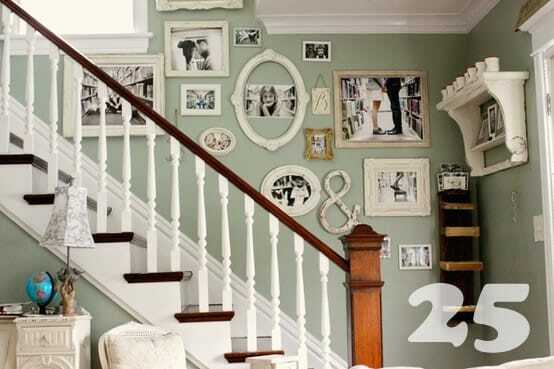 I love their wall collage and was curious what the rest of the house looks like. Oops! I meant #6, not 7. Thanks!! Hello! I am trying to figure out a cute idea with my son’s baby/school pictures. I have 12 baby pictures in the first year he was born (took them monthly), 2yr, 3yr, 4yr, and then kindergarden, 1st grade, 2nd grade, and so on, every year until he graduates. So all together, I will have 28 pictures.. Any suggestions? Summer, that’s going to make one big collage! I’d maybe group together the early photos (the 12 baby pictures) into one piece, then add the school years around it in various shapes and sizes. Has anyone else made a similar collage? Any thoughts? I really like the ideas and learned a lot. Thanks 4 such fabulous inspiring ideas. 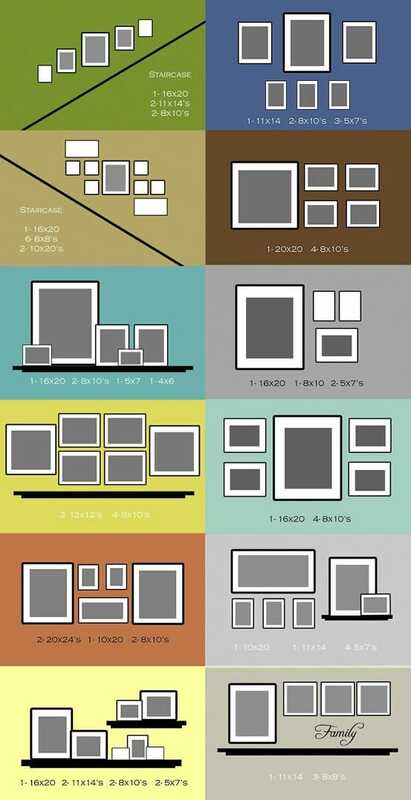 Have you seen Change of Art’s EasyGallery® frames yet? Each frame comes with its own hanging template – that shows you exactly where to nail the large, easy-to-handle button hanger. You can mat & frame standard size prints in SECONDS, and everything’s changeable. So, you don’t have to worry about ‘commitment’. 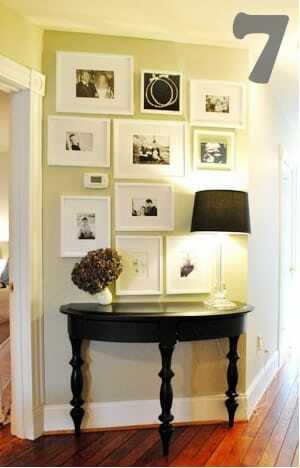 You can switch out prints – and update photos – as often as you like, and store them in back. Pingback: Hoe maak je een fotowand? De perfecte!! Great inspiration! I love all the photo collages!! I was hoping you could tell me where you got photo #6. I love the paint color of the wall and would love to find out what it is. 6, 12, and 15 galleries are inspiring to me. I needed help making my own gallery and appreciate all the help I can get to make my ideas come to life. Pingback: Mi cuarto, mi espacio. | Petite joys in life. 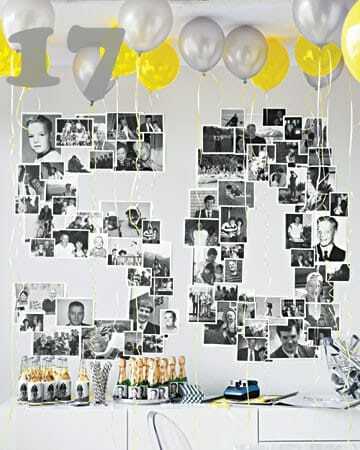 Love all this beautiful collage ideas. 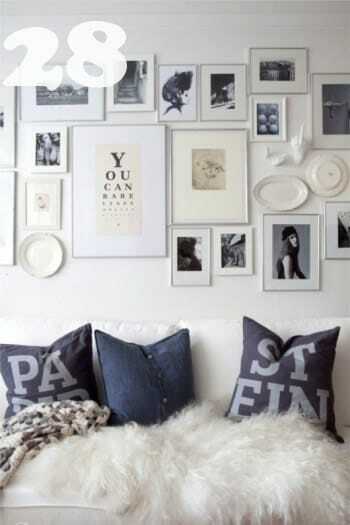 Especially those beautiful white and black modern frames. Can’t resist seeing them again and again! This was exactly the inspiration that I needed! Great work! Hey!I’m a student that loves to procrastinate, especially when I’ve HUGE assignments due so I was just thinking of making a little inspiration wall next to my desk, y’know? to keep me inspired to keep studying hard, I have few pictures and quotes of what I’d like to put on my wall, I saw your post for ideas and now I’m in love! I can’t wait to try them out! 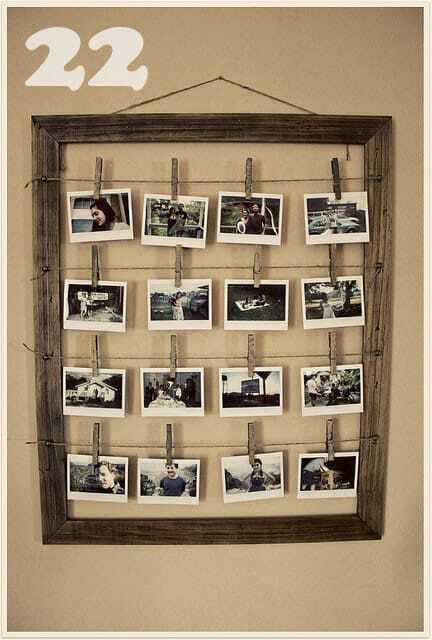 #21 the wall shows a collage frame within the collage wall. Any rules on that? Placed two on my wall within other shaped frames and not sure how it looks. Thoughts or advice? Such a wonderful idea for a student, certainly quotes within your photos of those you admire.